float knowledge return wisdom;: Pictures ..
Once in a very great while, I get the urge to photograph things. I use my phone, since that's generally what I have on me at the time. I suppose I could get more into it, actually understand what I'm doing, get the equipment, etc whatever, but I really already have plenty of hobbies I don't get time for. Still and all, I liked these photos. A cup of coffee, from before I had to give up milk. 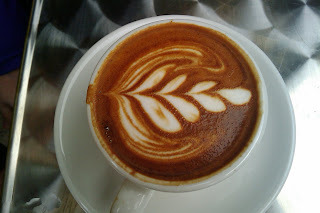 I don't get latte art in long blacks, strangely enough. I miss it - but not as much as I don't miss sleeping most of the day and feeling sick for the rest of it. So it goes. Someone have a nice chunk of Brie for me, please? Sydney Harbour Bridge with interesting clouds. I took this when I was down in Sydney in March. 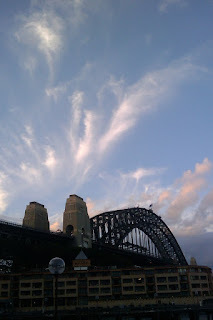 I was wandering around the rocks taking photos, doing the touristy thing, because I had a few spare hours. This is my favourite photo from the trip. This was taken near sunset, around 5.30pm, if I recall correctly. I really just loved the way the wind had spread out the clouds into feather patterns, and the way they were highlighted by the light from the setting sun. A flower from a plant Steve bought for me when I was feeling really down. I lost it when we moved house, but it stayed like this for a couple of months. Amazing thing, flowers. 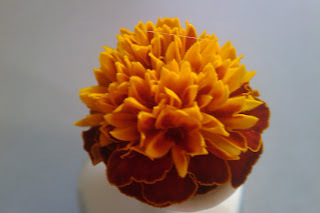 I love the colour of this photo, and the shapes of the petals. 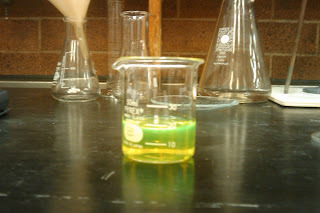 My favourite of the experiments I did while up in Toowomba doing my Chemistry pracs for the semester. 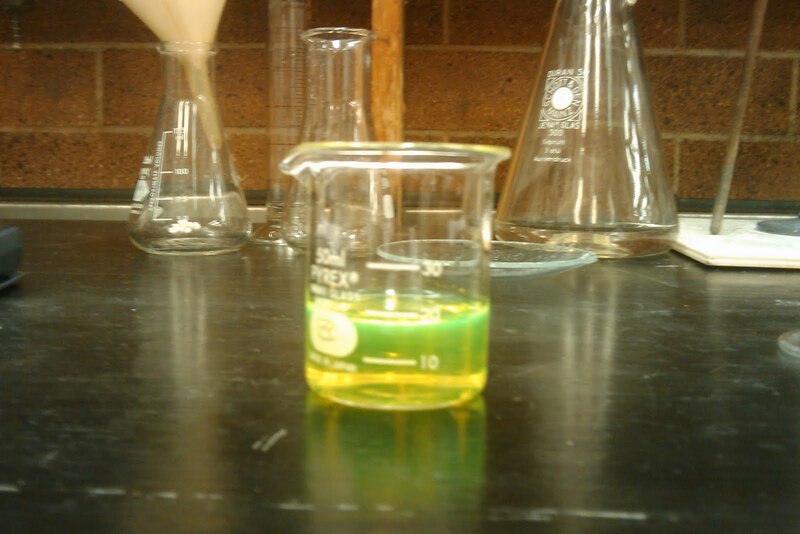 Fluorescent dye! And then we made slimy stuff that's basically silly putty but much more toxic. That was great fun. 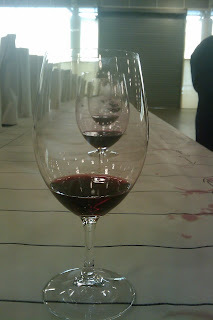 This photo was taken at the Royal Queensland Wine Show, where I was a steward. A week of very long (7am-6pm) days, 1800ish wines, and a lot of Reidel glassware. It was a fantastic experience, and despite the sore feet and exhaustion afterwards, I'm very glad I did it. I have a few nice shots from this, actually, but this is my favourite. That's pretty much all the photos I've taken this year that I like. I know that as a photographer, I'm severely deficient in skill. I'd like to be able to capture textures and colours more often, but sadly, I seem not to quite get it far too often - and when I do, most of the time my phone doesn't cooperate much. Not to worry, one of these days I'll find the time to get the hang of it.